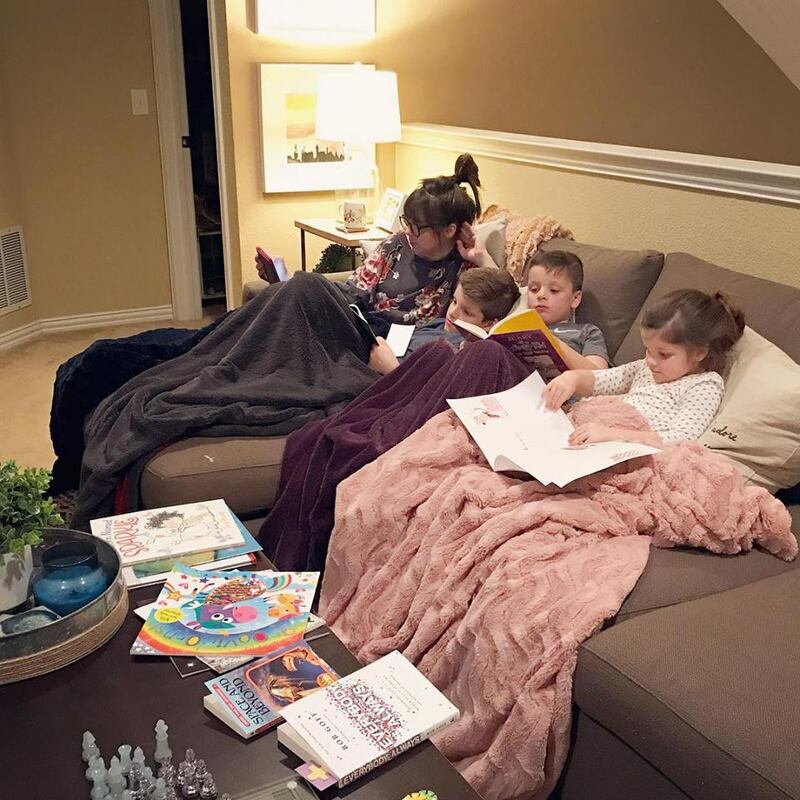 I mentioned this briefly in another post - but back in December (it was actually the week in between Christmas and New Year's when we got our new couch upstairs) we decided to implement "reading time" - where the kids read for 30 minutes to "earn" 30 minutes on their iPad. Honestly - they hated it. Griffin isn't reading yet and said she "didn't know how to look at books quietly" and Mason asked about every 2 minutes if time was up.... the anticipation of getting their iPads after was pretty much the sole focus of "reading time" and so we ended up re-evaluating and making reading time the last thing on our agendas at night. - Playtime/showers while Dave and I clean up, prep lunches for the next day, start laundry, etc. PS - we didn't get rid of "screen time" it just happens at a different time... sometimes while I'm getting dinner ready, sometimes right after school, sometimes after dinner. We don't have a set screen time as it varies based on what other things we have going on as well as behavior (yes... we're those parents). More on screen time in another post! - We decided to start this because as much as I PREACH about the importance of reading and how much I love to read, etc., etc., etc. if the kids don't see Dave or I reading are they actually going to believe it (this applies to a lot of things). Dave has joked that he's "not a a reader" and that the last book he read was in high school (seriously) but what kind of example was that setting for our boys (and G)... so we wanted to make a point that EVERY night EVERY one of us opens up a book and reads. - We listen to "jazz for studying" on Pandora while we read :) It sounds cheesy - but it's so good. It's all instrumental, all pretty low key and provides enough background noise that everyone can read in peace without disturbing each other. - We all sit on the big couch upstairs rather than in separate rooms just because we wanted it to be a family time. That's about it! Over the last 6 weeks or so that we've been having family reading time the kids have started asking "is it time to read, yet?" and our 30 minute sessions have stretched to 45 minutes or even an hour. We've been 100% consistent during the school week and I'd say MOSTLY consistent on the weekends. Weekend nights we will often have movie nights or other things happening so we'll bump reading time to the afternoon or even late morning. I really can't say enough great things about this super simple addition to our nightly routine. I'm reading more (outside of summer) than EVER and Dave is starting his second book (I'm not sure Dave has finished a book since our honeymoon - so this is a big deal!). 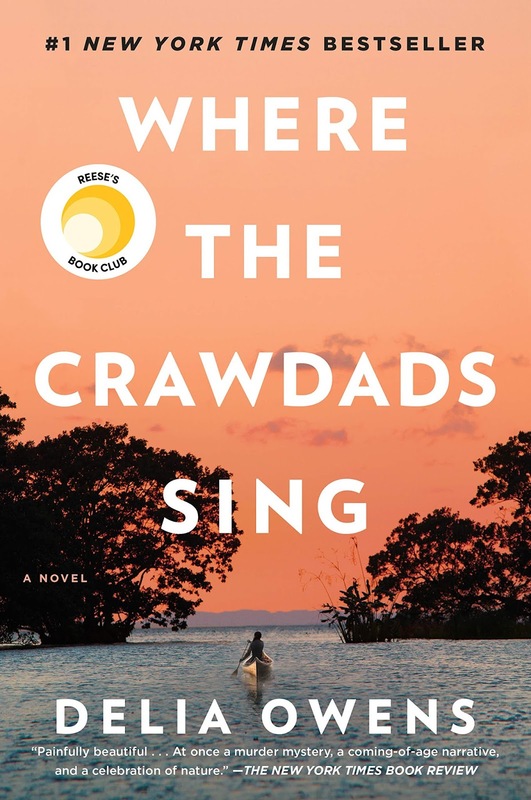 I read Where the Crawdads Sing and I loved it SO MUCH. My kids totally laughed at me because I cried at multiple times throughout the book - but I feel like that just goes to show how vivid and well written it was :) I was pretty much instantly invested in Kya (the main character) and having grown up spending a lot of time on the NC coast I felt like I could "feel" the setting. It had all the things that I loved... mystery, "Southern charm", a story spanning several decades - I loved it ALL. 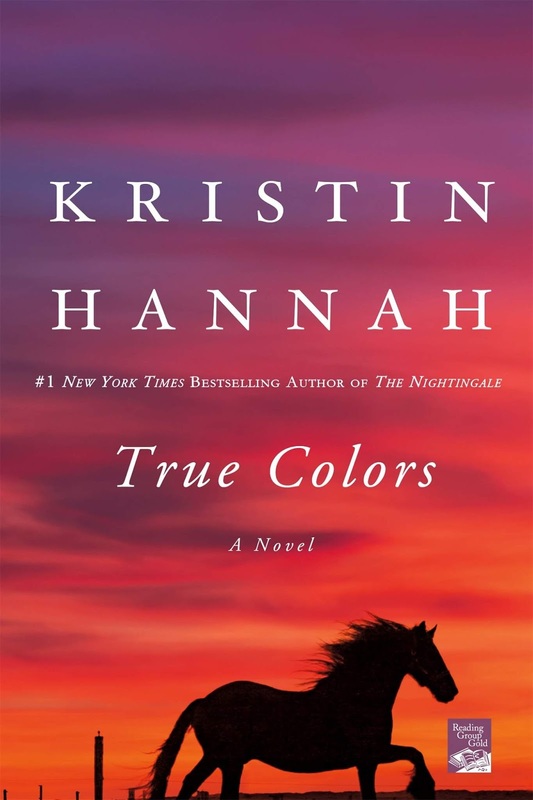 I also finished reading True Colors and while it wasn't my favorite Kristin Hannah ever I did enjoy it. It's a story of three sisters and their family struggles over the course of several decades and, as always, Kristin Hannah drew me in with her storytelling ability and character development (although I wasn't super fond of the dad or the middle sister who both seemed like afterthoughts). All in all I'd give this one 4/5 stars - and for sure recommend it if you're a Kristin Hannah fan. 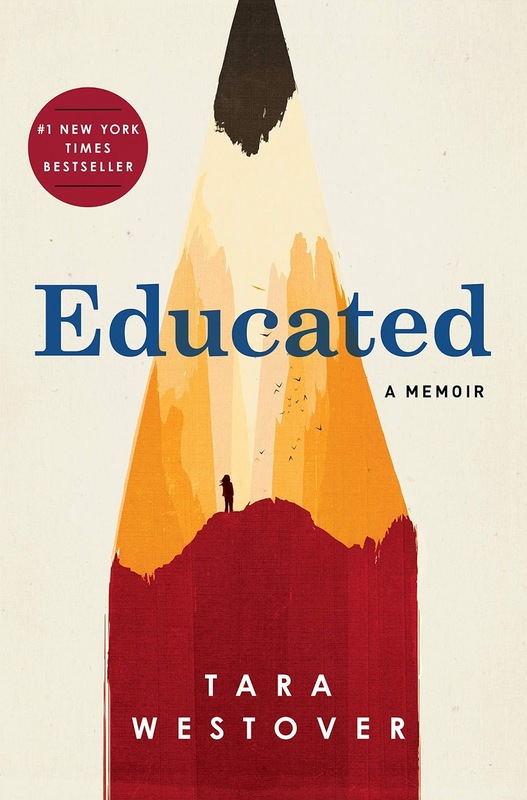 I just finished reading Educated and am considering rereading it again because OH MY WORD there was so much to process and I feel like knowing how it ends would make me appreciate the book on a whole other level. I couldn't put it down (despite having to reread portions out of disbelief) and had to keep reminding myself that it was a memoir and not fiction. Parts of the book were hard to read (if you don't want to read about some pretty horrific accidents and abuse I'd skip this one) but I appreciated her telling her story from beginning to end and giving the context for her overcoming and accomplishments. These are next up on my list... any recommendation on which one I should read first? Y'all know how much I loved Everybody Always this summer - now Dave is reading it and I bought Love Does for Kids (by the same author) and it is GREAT for dinnertime reading/discussion. 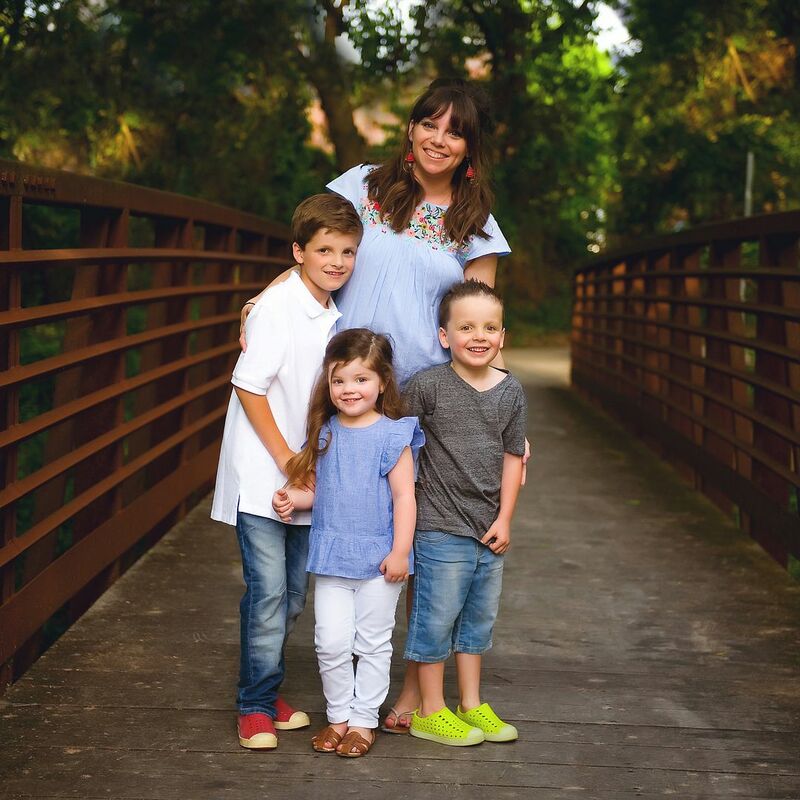 It's short stories written in typical Bob Goff fashion and his simple ways of showing how God can be in even the simplest and smallest everyday situations is perfect for kids (and adults, too!). Luke is burning through books lately, he finished the Harry Potter series , loved From The Mixed Up Files of Mrs. Basil E. Frankweiler , and just read The Spiderwick Chronicles as well. He's currently working through the second book in this series by Priscilla Shirer and next on his list is the Mysterious Benedict series which came highly recommended by a parent at school. I'm always looking for great recommendations for 10-12 year old boys so if you have any leave them in the comments below! I love that they love it now. So sweet! I need to institute a daily reading time for myself. You HAVE to read The Sound of Gravel! My favorite memoir ever and I'm about to start Educated after hearing everyone rave about it! It has abuse, accidents, and some parts (like you mentioned with Educated) I had to re-read because I couldn't believe that had actually happened in real life. It's a favorite of mine for sure! We have reading time in the morning! I love, love, love seeing my little readers!! How do you get both homework and reading time in?? I have one child and we are rushed in the mornings!! All the praise hands to you! Luke might enjoy the old Hardy Boys series. Luke might enjoy The Ravenmaster. I have been looking at The Prince Warriors series as a read aloud for my 7 yr old. Do you think he is old enough to listen to them? I teach sixth grade and the boys in my class love anything Rick Riordan!. Luke might like the "Because of Mr. Terupt" series by Rob Buyea. I used to read it aloud to my sixth graders and it was definitely their favorite part of the day. Reading with our kiddos is one of my favorite things...I love this idea! The places reading can take us are endless. Someday your kiddos will appreciate that you all have a special time for reading. I love that Luke seems to like reading so much--what a smart boy (he's getting so big, in so many ways). I'm going to have to read, Where the Crawdads Sing--thank you for the recommendations. Happy Reading! I love this idea so much! I'm going to have to try an implement it with my 3 kids. I can't speak for the others on your list, but Eleanor Oliphant was SO good. I've read two of your book line-up: Eleanor Oliphant is Completely Fine and The Sound of Gravel. Eleanor Oliphant is a good, light read. The Sound of Gravel is one that will stay with you for awhile. It was an eye-opener to a completely different lifestyle, and the challenges the author faced will break your heart. Just finished Sound of Gravel and it wrecked me! I have a bunch of heavy books on the docket, but need a lighter one first. I still think about The Sound of Gravel after reading it over a year ago. Love this! Can I come over and join? I am bookmarking this post to discuss with my family about making it a part of our night. Educated was great; I just love reading how "other people live." The Sound of Gravel is fantastic, too. Another, how the others do it. It's tough to read in some spots for sure, but a great read. My boys and now my 11yr grandson loved the Redwall series. Do you still read bedtime stories after? We have younger kids (6,3,2) so I feel like bedtime stories is still a big deal, but I would like to transition to this in the future. Of the three you have posted for "next", I've read two- Eleanor Oliphant (was just ok to me) and The Sound of Gravel, and it was so so good. So many times I kept having to pick up jaw up from the floor because PEOPLE ACTUALLY LIVE LIKE THIS?!?!?! The Sound of Gravel is so good but it has a lot of hard parts when reading about different situations. I just grabbed her cousin's memoir yesterday at the library. Did you read Night Road by Kristin Hannah? Absolutely wrecked me. And if you want to cry even more (ha!) read The Art of Racing in the Rain! It was interesting for me because I usually read books with female narrators or main characters. Can you share what books Mason is reading? I have a 2nd grade boy also and I would love to get some ideas for him on books. Love this idea! If your son likes sharks, he may like the Ready Freddy series..very cute. On your list, The Sound of Gravel and Eleanor Oliphant would be my picks, I loved both of those. I love, love, love this idea - everything about it! I second the request for what Mason is reading. My 7 year old is not a strong reader and so far only likes Dog Man to read on his own. Love everything about this post! My 11-year-old son loves the Maximum Ride series by James Patterson. Unfortunately, I can't tell you anything about it other than the fact that he blew through the books in mere days. He is also a huge Harry Potter fan and rereads those books as well as falling asleep to the audio books at night! Reading makes my heart sing. Oh, start with Eleanor Oliphant. Such a great story! My 11 year old loves the Wings of Fire series. He started with the graphic novel got hooked on the series and is now working his way through the regular novels. He hated reading so I was beyond happy to find something that sparked his interest. Lee Roddy was one of my family's favorite authors. He writes a lot of books for young boys, The Ladd Family Adventures, D.J. Dillon series, and my favorite series: Between two flags. The books are easy to read and fun, and he's a Christian author too! Magic Hour by Kristin Hannah is SO good!!!! Eleanor Elephant and The Sound of Gravel are also good but Magic Hour was my fave out of those 3. My very favorites from 2018 were The Great Alone, Where the Crawdads Sing, Love Walked In, and Magic Hour. Eleanor Oliphant is Completely Fine was SO good! Definitely threw me for a loop at the beginning just because of how different it was, but if you stick through the beginning you won't be able to put it down! I have been reading the Harry Potter series with Solon for the last 20 months and we are almost done. It's been a favorite way to spend time with him. Now, my oldest daughter can't wait to start it with me. I love that you did this and I couldn't agree more that our kids need to see us reading! Luke might like A Series of Unfortunate Events. The Sound of Gravel was so good. I read it and Educated really close together. While Educated’s story was impressive - I just didn’t find myself rooting for her. The book kinda fell flat for me. Gravel was much more compelling and so well written. Eleanore is a sweet book with just a bit of grit. My 5th grader is an avid reader. He reads several books per week but he just doesn’t like fantasy - no Harry Potter, Percy Jackson, or Benedict’s. He tried but just couldn’t do it. He loves anything by Stuart Gibbs - Spy School, Spaced Out and the Fun Jungle Series. He also enjoys sports stories by Tim Green.